The beautiful, versatile Perth Loveseat is sure to look right at home in so many settings, thanks to its deep brown upholstery and classic style. Distinctive features include a channel stitched back over bordered seat cushions, slightly flared arms, and soft 100% polyester upholstery. The included accent pillows brilliantly accent the neutral shade, adding a pop of color and additional comfort. 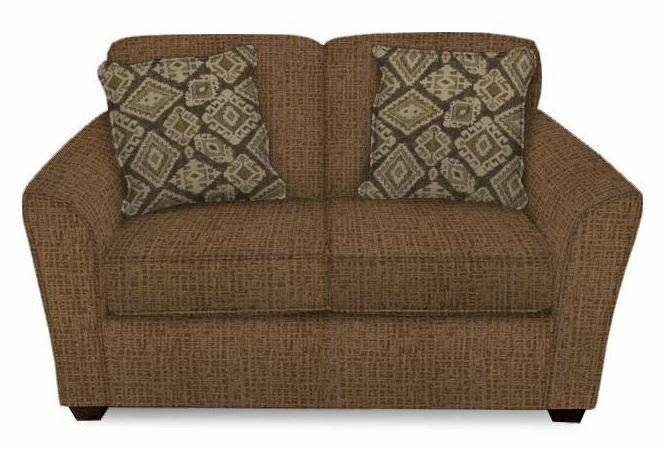 The perfect seat for you and your loved one to lounge, this classy loveseat is certainly a standout piece. The beautiful, versatile Perth Loveseat is sure to look right at home in so many settings, thanks to its deep brown upholstery and classic style.